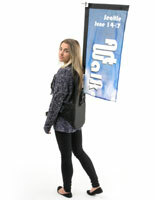 Sale flags work to generate more traffic into a store, restaurant or salon! These message flags, sale flags feature the standard red, white and blue design making sure your message is clearly stated and recognized. 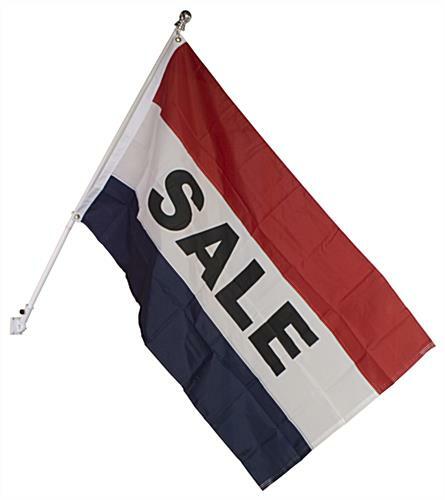 Sale flags, also known as outdoor banners, have the term "sale" written in bold, black letters to beautifully contrast with the white background. These sale flags are made from 100% nylon for a long-lasting display tool you can use over and over again! 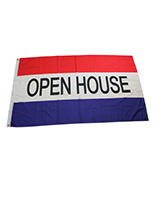 We provide these sale flags with the following components to make them instantly ready for use upon receipt: (1) 3' x 5' nylon flag, (1) 60" long aluminum pole and (1) mounting bracket. 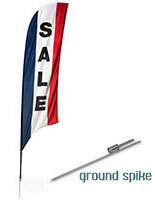 These sale flags are also extremely easy to set up with their provided brass grommets and metal clips. 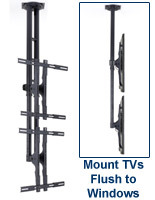 Simply attach a hook to each grommet and install the bracket onto a wall. The sale flags even include a 1/4" diameter washer to reinforce a flag's attachment to its pole. 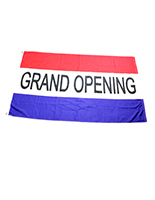 These 3' x 5' banners, sale flags even include an adjusting wall bracket, you can use to change the angle of your displayed flags. In fact, the wall bracket can change from 0° to 90° almost instantly! 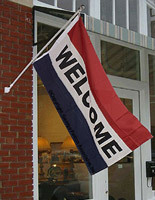 Sale flags, such as message flags, are an affordable way to draw more traffic into your business!